SUMMARY: While gum chewing isn't always appropriate, it can be an important part of maintaining oral health and fighting halitosis. If you've ever read "Charlie and the Chocolate Factory," you've probably heard about how chewing gum is a bad habit. One of the chosen children loses her chance at a lifetime supply of chocolate simply because she cannot stop chewing gum. And Roald Dahl isn't the only one who has a problem with gum chewing. People who excessively chew gum have been called annoying, disgusting and gross. So, the question then is: Why chew gum? Is all gum really just a childish candy? The short answer is no. While gum chewing isn't always appropriate, it can be an important part of maintaining oral health and fighting halitosis. Halitosis, or bad breath, is caused by the buildup of certain kinds of bacteria within the mouth and throat. These microscopic creatures actually live in your mouth, feeding off undigested food, mucus and other oral tissue. As they feed, their bodies excrete a number of compounds that include sulfur. You've smelled this type of compound before: It's very prevalent in rotten eggs. Like any other living creature, this bacteria has things it does and doesn't like to eat. Favorites include sugars and acids (think fruit juice and candy). Oxygen, however, kills the bacteria and prevents them from breeding. So if you're buying sugar-filled gum, or other forms of chewable candy, you're not doing your mouth any favors. 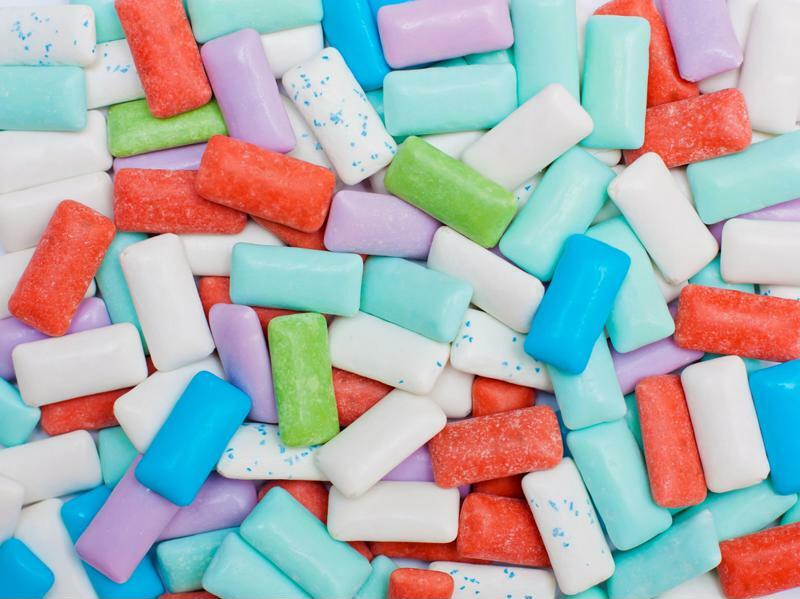 While you may not swallow, chunks of sugar are sure to get dislodged and may become wedged in between your teeth. Without proper brushing and flossing, that sugar will turn into bacteria city. However, this is only true with sugar-filled gums. Sugar-free gum is a different story. It lacks the crucial bacteria food supply and can actually help aerate your mouth. But if you really want to pull out the big guns with it comes to healthy gum, go with TheraBreath Advanced Flavor Chewing Gum. Our product is designed to fight bad breath rather than trying to mask its odor. Designed in layers, our gum releases oxygenating compounds as it's chewed. And, with no sugar, it's providing zero food sources for the halitosis-causing bacteria within your mouth. Our chewing gums are so effective against bad breath that some of our products are even used by celebrities before they film kissing scenes. If you're trying to get rid of bad breath and do it quickly, then chewing gum can be one of your best options. Gum comes in many brands and varieties. Some are more helpful than others. Of course, everything has its time and place. You shouldn't be chomping down during a fancy dinner or a wedding. You'll never see a political candidate attempt to give a speech while chewing gum and with good reason - no one likes seeing a mouth full and open. As with anything, chewing gum can be done in excess. If you're going through several packs of gum a day then you may be overdoing it. Gum is not a replacement for a normal diet, nor is it something to be done every minute that your mouth isn't otherwise occupied. However, as habits go, there are far worse things you can do than pop a stick of TheraBreath gum into your mouth before you go on your big date. Just make sure to watch the sugar factor.